[bottled water] comes from a municipal supply.” Additionally, Eric Goldstein, co-director of the urban program at the Natural Resources Defense Council (NRDC), comments, “no one should think that bottled water is better regulated, better protected or safer than tap [water]” (Majeski Jemmott, February 2008). Bottled water is considered a food product and is regulated by the U.S. Food and Drug Administration (FDA), whereas tap water is regulated by the U.S. Environmental Protection Agency (EPA). While standards for bottled water vary from one State to another, the methods used by the two agencies today for regulating water quality are relatively comparable. This is, in part, thanks to extensive research conducted by NRDC, which revealed contaminants and bacteria in bottled water. In 1999, NRDC petitioned the FDA to test bottled water more rigorously. As a result of the petition and NRDC’s continued advocacy, the FDA has agreed to take action. This is a recent development, however, and doesn’t mean that bottled water is necessarily safer. To read the NRDC petition as well as updates, see: https://www.nrdc.org/resources/bottled-water-pure-drink-or-pure-hype. For an overview of water treatment methods, standards, and the pros and cons of bottled water, including a discussion of potential contaminants, see: Napier and Kodner, 2008. Just as it’s important to avoid contaminants and bacteria, it’s important to take into account which trace minerals our drinking water provides, whether it’s tap water or bottled water. For example, water is often a source of magnesium, a mineral which is essential to our nervous system and heart. Water that has been excessively purified often lacks this critical salt. It is important to make sure that you’re getting a balance of the minerals you need. Mineral deficiencies and excesses can lead to serious health issues (Garzon and Eisenberg, 1998; Misund et al., 1999). FDA regulations for bottled water require that each bottle be stamped with an expiration date of two years from the time of bottling. 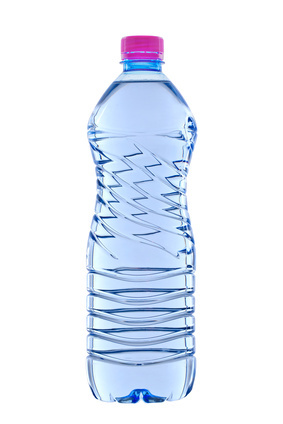 Although water should keep indefinitely if stored in a cool, dark place away from contaminants, this expiration allows for two years of stock rotation (transport, warehousing, and shelving in stores).The sooner the expiration date, the more likely it is that the bottled water in question has been exposed to temperatures or conditions that allow for chemical leakage from plastic packaging. Ideally, if you choose to drink bottled water, you should opt for glass bottles rather than plastic. Additionally, once you’ve opened a bottle, make sure that it’s stored somewhere cool or in the refrigerator. Warm conditions promote bacterial growth (Andra et al. 2012; Amirdou and Voutsa, 2011; Reimann et al., 2010; Westerhoff et al., 2008).